Olde English Babydoll sheep, grass fed Black Angus and free range chickens all work together to tend our vine rows and graze land. Our Babydoll and Suffolk sheep program was implemented strictly for our vineyard maintenance in accordance with our sustainable farming practices. Thanks to the sheep’s small size and robust character, these remarkable little full-time workers graze our vineyards and are ideal for organic weed abatement, fertilization and soil management. As an adjunct, our free-range chickens are social partners to our sheep and cattle and assist in providing nutrients, fertilization and insect control to our vineyard. These charming allies all help to reduce our dependence on energy consumption and pesticides. When you visit our tasting room, we believe you too will be captivated by their presence and work ethic. The wind and sun supply over 100% of our energy needs for our winery. We conserve and create energy by proudly utilizing our 10KW progressive Wind Energy Conversion Facility (WECF) in conjuction with our 77 solar panels on our winery. Our carbon footprint is 0% at Oso Libre Winery! 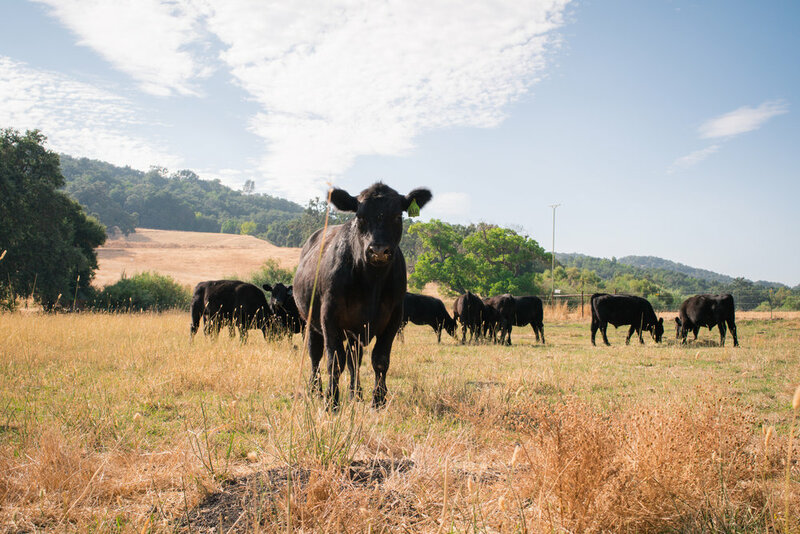 In conjunction with our vineyards and winery, Oso Libre is a traditional San Luis Obispo cattle ranch. Our Black Angus cattle are free range, grass fed, hormone free animals. We are excited about the future of our Angus beef program. All of our Vines at Oso Libre are SIP (Sustainability in Practice) certified. We, as a life choice, focus on habitat conservation, energy efficiency, pest management, water conservation, economic stability, and human resources. Sustainable agriculture rests on the principle that we must meet the needs of the present without compromising the ability for future generations to meet their own needs. It addresses stewardship of both natural and human resources and in agriculture it means that decisions are made with the whole farm system in mind as well as productivity in the long and short term. Learn all about the importance of the SIP program at The Vineyard Team website.